Bond paper rolls do not contain a chemical coating and feel much more like regular bond copy paper. 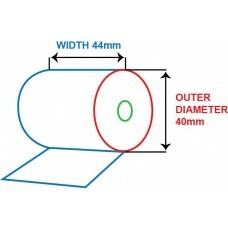 These POS rolls come in 1, 2 and 3 ply for customers who need duplicate and triplicate copies, such as the hospitatlity industry or retail industry. To test whether your POS roll is bond or thermal, quickly swipe your fingernail across the paper and if it leaves a black mark then it proves that it is thermal paper. 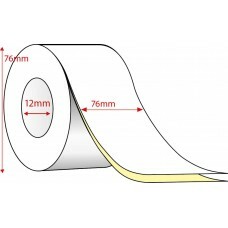 If no mark is visible then it is a bond paper roll. You will also be able to write with a pen easily on a bond POS roll. 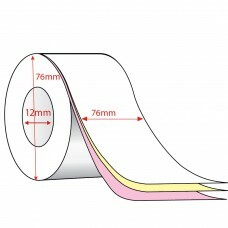 Bond paper rolls also need a ribbon to print the information. Our bond paper rolls are manufactured from the highest quality paper, ensuring less dust, higher print quality and a longer life for your POS printers. Suitable for all types of EFTPOS terminals. If you have any questions, please don't hesitate to contact our friendly sales team.